The shocking events at the end of Avengers Infinity War have had fans of the MCU sitting on the edge of their seats for the last year. Desperate to find out what happened after Thanos’s snap, we have only a matter of weeks to wait until the likes of Thor, Hulk, Captain America, Iron Man, Black Widow and Ant-Man take the fight back to the wielder of the Infinity Gauntlet. 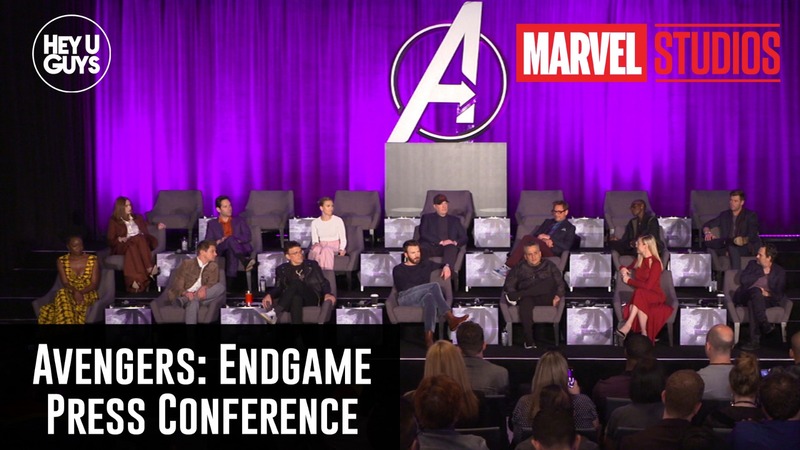 While light on spoilers, this full video of the Avengers Endgame press conference showcases a cut down team of superheroes coming together for the end of an era for comic book movies. The twenty-one MCU films have come to define a decade of popular filmmaking, with characters capable of generating billion-dollar box office hauls. This may be the last time many of these actors share a stage, so let’s sit back and enjoy as Jon Favreau, (who stared as Happy Hogan) hosts the global press conference interview with the cast of Avengers: Endgame including Robert Downey Jr. (Tony Stark / Iron Man). Mark Ruffalo (Bruce Banner / Hulk), Paul Rudd (Scott Lang / Ant-Man), Brie Larson (Carol Danvers / Captain Marvel), Scarlett Johansson (Natasha Romanoff / Black Widow), Chris Evans (Steve Rogers / Captain America), Chris Hemsworth (Thor), Jeremy Renner (Clint Barton / Hawkeye), Karen Gillan (Nebula), Danai Gurira (Okoye), Don Cheadle (James Rhodes / War Machine) alongside Producer Kevin Feige and directors Anthony Russo & Joe Russo.